WASHINGTON — After an on-site tour of what remains of the Fukushima Daiichi nuclear facilities decimated by last year’s earthquake and subsequent tsunami, Sen. Ron Wyden (D-Ore.), a senior member of the U.S. Senate Committee on Energy and Natural Resources, sent a letter to Japanese Ambassador to the U.S. Ichiro Fujisaki looking for ways to advance and support clean-up and recovery efforts. Wyden’s principal concern is the relocation of spent fuel rods currently being stored in unsound structures immediately adjacent to the ocean. He strongly urged the ambassador on April 16 to accept international help to prevent dangerous nuclear material from being released into the environment. 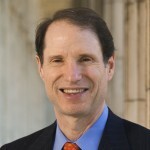 Wyden visited Fukushima on April 6 while on a congressional delegation trip to the region. He and a staff member wore radiation suits as they toured the facility and met with workers and managers from the Tokyo Electric Power Company (TEPCO), which is responsible for the clean-up. Wyden found that the facilities designed to house spent nuclear fuel and the reactors themselves were still in a state of disrepair and located in areas that would make them susceptible to further damage from future seismic events. The reactor buildings still contain large amounts of spent fuel, making them a huge safety risk, and the only protection from another tsunami, Wyden observed, is a small, makeshift sea wall erected out of bags of rock. The senator also sent letters to U.S. Secretary of Energy Steven Chu, U.S. Secretary of State Hillary Clinton, and U.S. Nuclear Regulatory Commission Chairman Greg Jaczko, asking them to identify additional resources and assistance that their agencies could provide to Japan to address these risks.